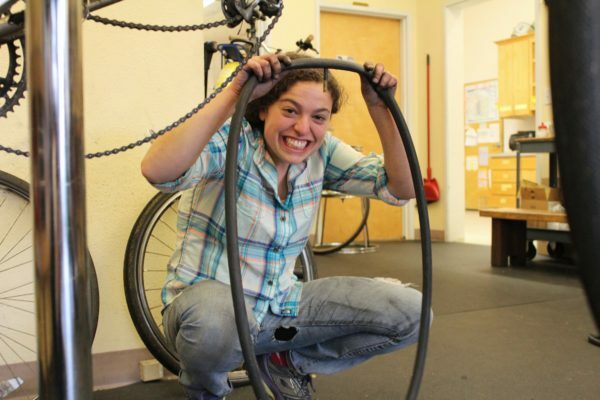 Home » Blog » Bike Maintenance Classes are Back, Starting Thursday! Bike Maintenance Classes are Back, Starting Thursday! Did you ride hard all summer? Is it time to give your bike some love? 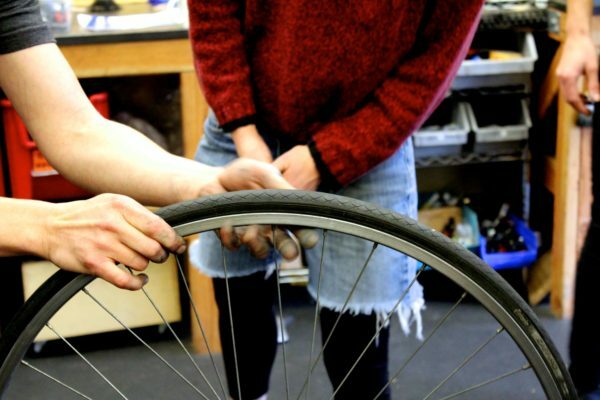 Give you and your bike a treat by learning to do repairs on it yourself! The rainy season is here, and with it returns our Bike Maintenance classes taught by our team of skilled mechanics. What Do The Instructors Think? One of our instructors Jackie, said she’s excited about people’s eagerness to learn, and transforming that motivation into a (foundational) skillset with which people may continue to build upon and share with others. She hopes students walk away with a sense of empowerment from having more tools (literal and metaphorical!) in their toolbox, and a sense of community with other W/T/F mechanics. Whether it’s in this class or the next one, we hope that you’ll come add to your toolbox with us.